For sea otters, an oil spill isn’t just a nuisance. It can be life or death. To save otters and other wildlife, we need to stop offshore drilling before it starts . Oil spills are the greatest human-caused threat to sea otters.2 And sea otters aren’t the only marine wildlife harmed by oil spills. So are dolphins, whales, sea turtles, polar bears and many, many more. But the Trump administration is working hard to open more of our oceans up to dirty and dangerous offshore drilling as soon as possible. If we’re going to stop these plans, we have to take action now. 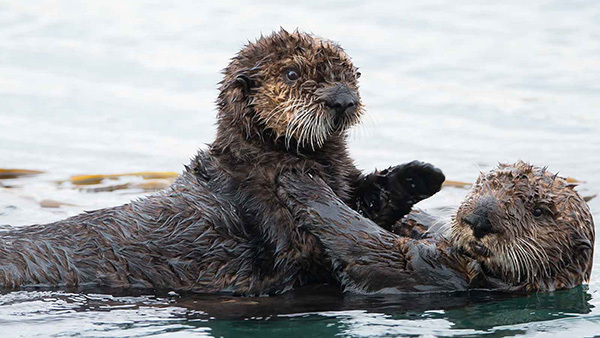 Sea otters and other ocean animals are at risk. We’ve all seen the pictures of animals covered in oil, their fur or feathers or shell covered in the black and tarry substance. Take action to save sea otters and protect our coast. The consequences for marine animals alone should be enough to lead us keep oil in the ground. But there is a litany of other consequences from more offshore drilling: from worsening climate change to risking the livelihoods of coastal communities. It’s beyond time to end offshore drilling — to protect wildlife and the planet from the devastating consequences of oil spills. Urge your legislators to act right now. 1. Roger Helm, Daniel Costa, Terry DeBruyn, Thomas O’Shea, Randall Wells and Terrie Williams, “Overview of Effects of Oil Spills on Marine Mammals,” ResearchGate, February 2015. 2. A. Doroff and A. Burdin, “Enhydra lutris: The IUCN Red List of Threatened Species 2015,” accessed January 16, 2019. 3. Roger Helm, Daniel Costa, Terry DeBruyn, Thomas O’Shea, Randall Wells and Terrie Williams, “Overview of Effects of Oil Spills on Marine Mammals,” ResearchGate, February 2015. 4. Roger Helm, Daniel Costa, Terry DeBruyn, Thomas O’Shea, Randall Wells and Terrie Williams, “Overview of Effects of Oil Spills on Marine Mammals,” ResearchGate, February 2015. 5. “How Do Oil Spills Affect Sea Turtles?,” NOAA Office of Response and Restoration, June 16, 2016.